Good morning, Doodlebug friends! 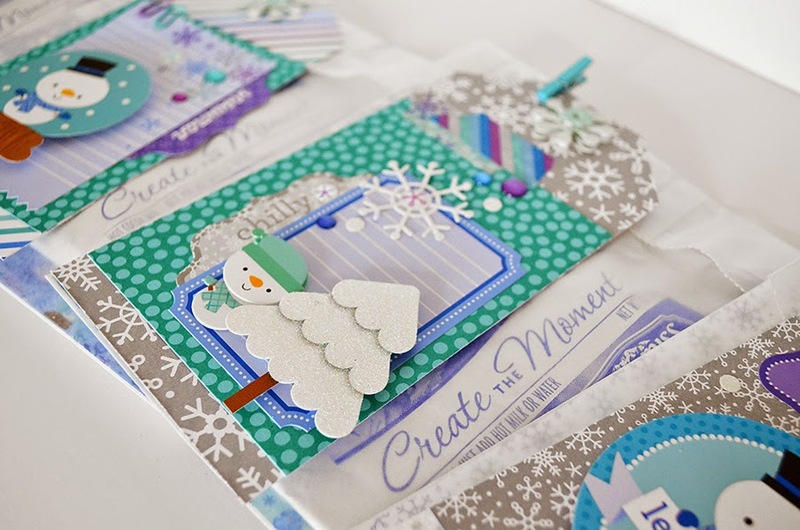 It's Wendy Sue here with you today, sharing a fun little project I created with the fabulously sweet and wintery "Frosty Friends" collection. We're six days into November, and that's just about early enough to start planning neighbor/friend holiday gifts. 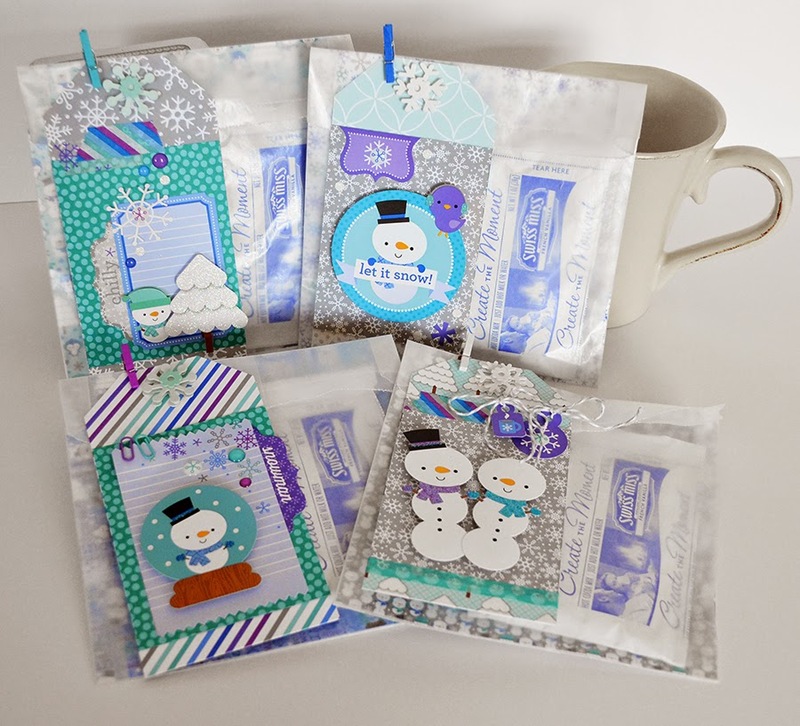 I love coming up with lots of different ideas to give away - and this is the first one I've created for this year - little "frosty friends" hot cocoa packets. I started by making several tags. I used patterned papers to create the 3" x 6" tag bases. Next, I cut 3"x4" pieces from coordinating papers in the 6x6 pad. That's when the real fun started - I added different elements - stickers, washi tape, mini doodle-pops, mini paperclips, sprinkles, etc. to embellish each tag. Many of the papers and embellishments have glittered elements - love the little bit of sparkle and shine added to these tags! 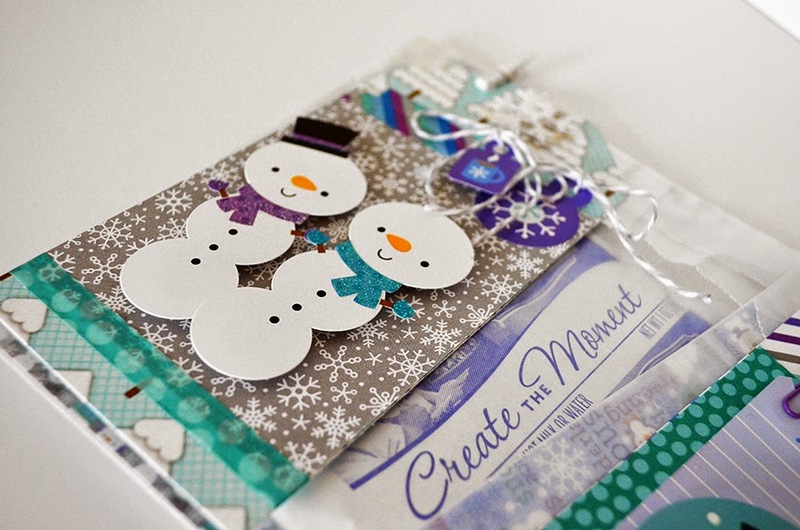 At the top of each tag, I place a mini doodle-pop snowflake and a colorful clothespin. I purchased several of these awesome little glassine bags from a local store. They are just the right size to tuck a 6x6 paper inside - and you can see it through the frost bag! 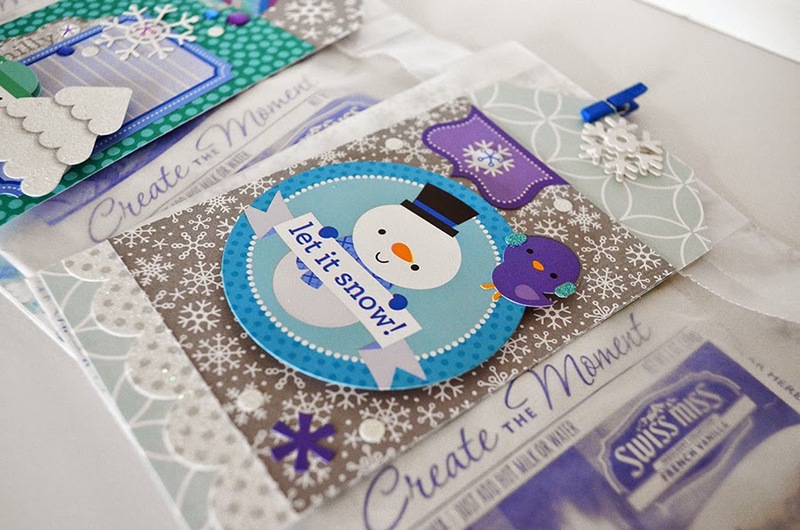 Next, I added a packet or two of hot cocoa mix; I loved that these Swiss Miss packets had blue images and text on them - they matched the collection perfectly! Next, I folded over the top of the bag and clipped the tag right on to it. These tags would be cut on any package, card, or even as a little garland! 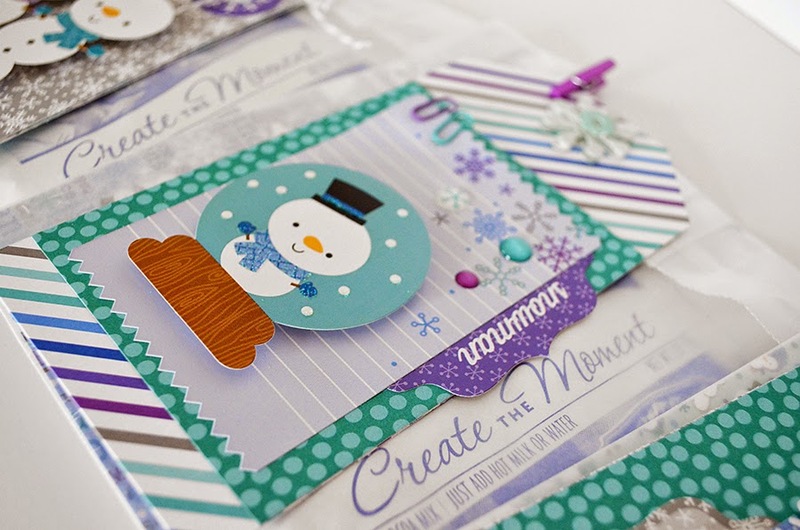 There are just so many fun possibilities with the frosty friends collection!! What an adorable idea! Thanks for sharing!! I'm loving the little guys! These are super adorable! They almost look like a little card set! So cute! Such a cute idea Wendy Sue!!!! Fabulous gifts! Love each of the little embellishments you added to them! The clothespins look adorable. I love this fun and whimsical collection! Great idea and so very cute! Shared and pinned! Love me some doodlebug stuff! These are so cute, thank you for sharing a great gift idea! LOVE your tags and using the mini clothespins to secure the tags in place & bags closed is a great idea!!! Классная идея для подарка! !Очень красиво!! These are the sweetest little treat bags. I love the icy colors of this collection and all the cute critters. These are so cute, I might do these for my cookie swap. A lovely take home. These are fabulous!! Pinned them too!